Is the 390 Network Player the complete high-end listening solution Moon claims it is? I know “hi-fi” brings to mind any amount of hobbyist nonsense. Massive stacks of electronics. Even more massive loudspeakers. And expenditure beyond massive, of course. But that’s not how Moon rolls. Apart from the significant expense, that is. 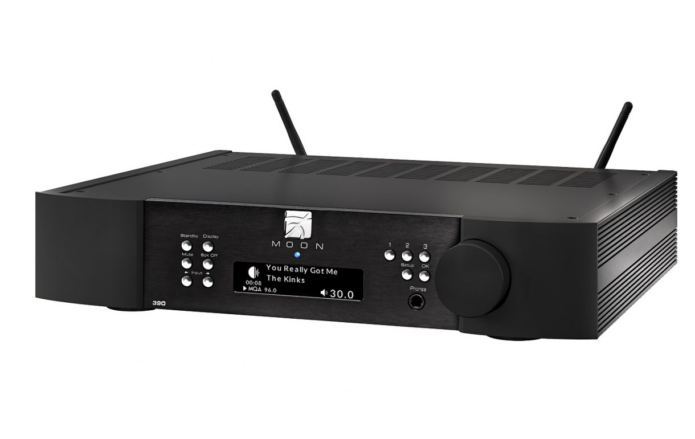 Although the 390 might look like any other anonymous box of high-end hi-fi, in fact it’s ready to form the nerve-centre of a cutting-edge home entertainment setup. No matter if your priority is music, games or movies, the Moon 390 can deal with every source in your setup – whether it’s analogue or digital, audio or video, wired or wireless – and bring it to its optimal state before it gets to your speakers.